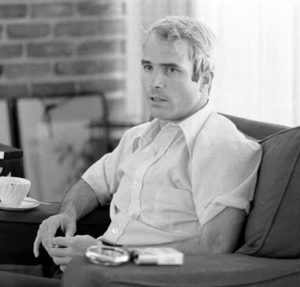 Photo of John McCain during an interview, April 24, 1974. Collection of the Library of Congress. Photographer: Thomas J. O’Halloran.